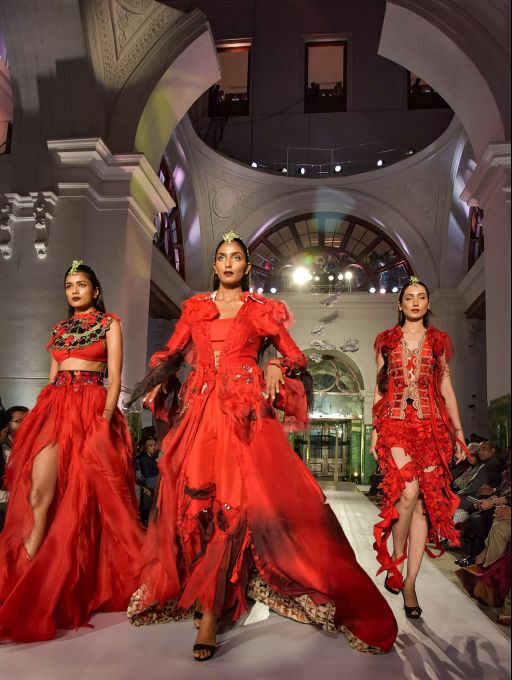 Kolkata: Models walks the ramp showcasing the collection of designer Anamika Khanna during the inauguration of "Jute Expo" in Kolkata on Monday,January 07, 2019. 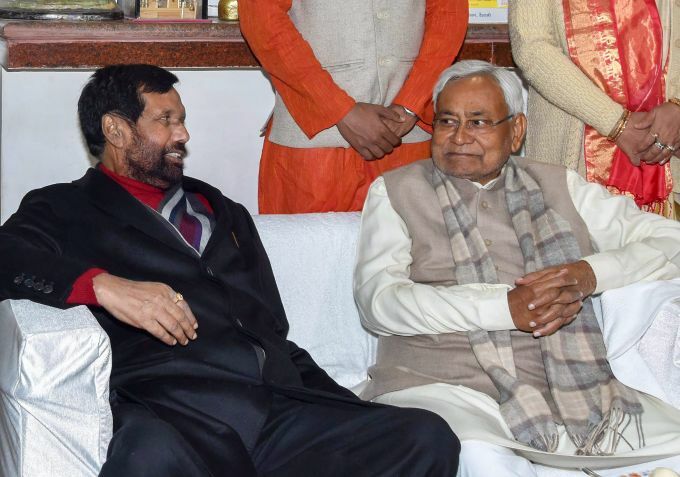 Hajipur: Bihar Chief Minister Nitish Kumar with Union minister and LJP President Ram Vilas Paswan during condolence meeting of former Union minister Captain Jai Narain Prasad Nishad in Hajipur, Monday, Jan 7,2019. 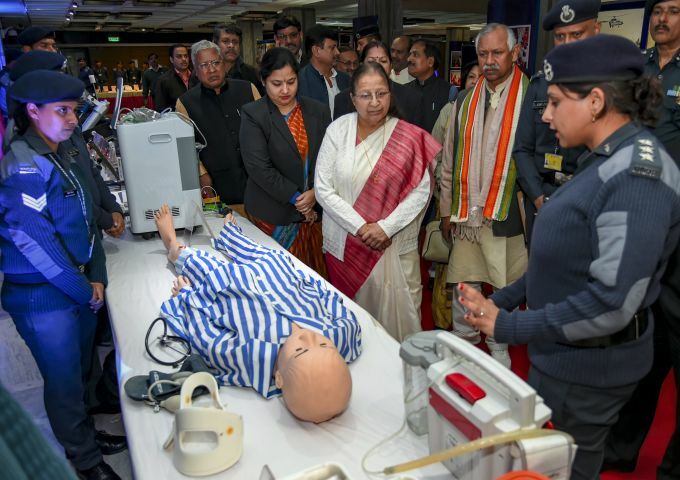 New Delhi: Lok Sabha Speaker Sumitra Mahajan visits the exhibition of NDRF at Parliament Annexe in New Delhi on Monday, Jan 07,2019. 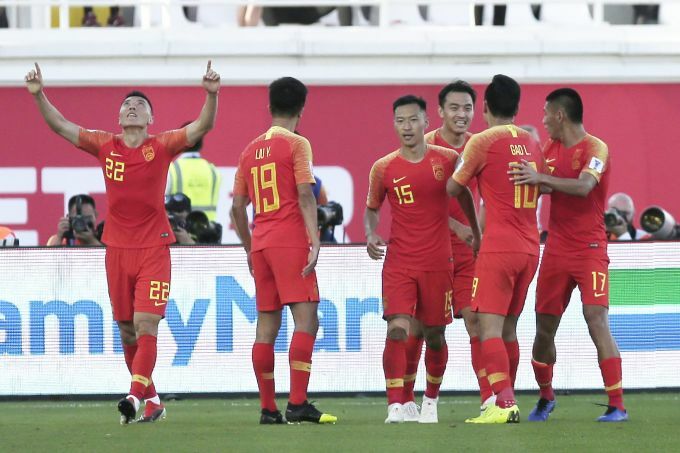 Al Ain: China's defender Yu Dabao, left, celebrates after scoring his side's second goal during the AFC Asian Cup group C soccer match between China and Kyrgyzstan at the Khalifa bin Zayed Stadium in Al Ain, United Arab Emirates, Monday, Jan. 7, 2019. 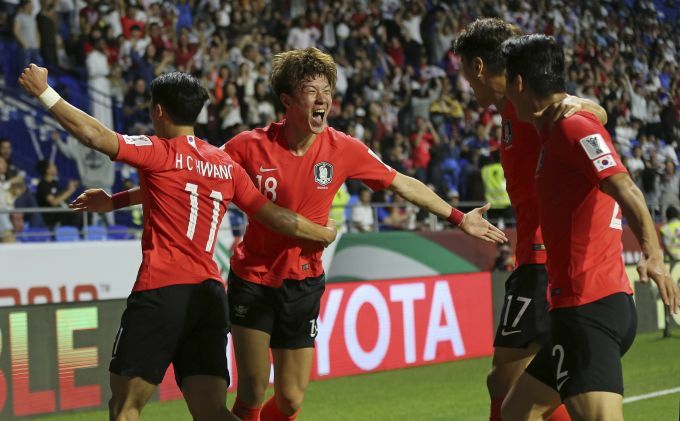 Dubai: South Korea's forward Hwang Ui-Jo, center, celebrates after scoring the opening goal during the AFC Asian Cup group C soccer match between South Korea and Philippines at Al Maktoum Stadium in Dubai, United Arab Emirates, Monday, Jan. 7, 2019. 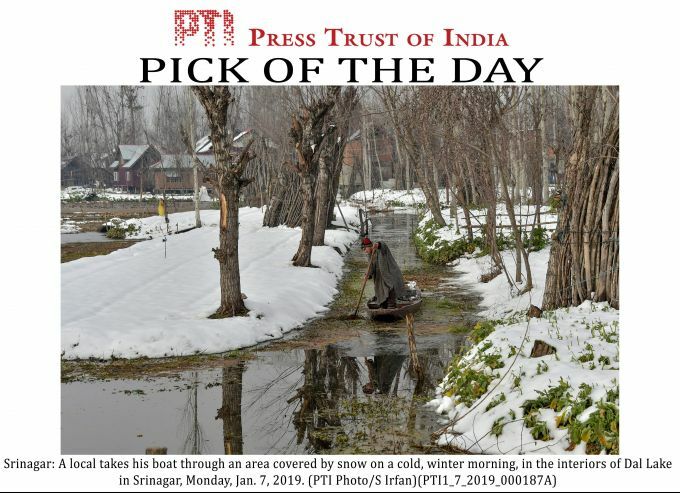 EDS PLS TAKE NOTE OF THIS PTI PICK OF THE DAY:::::::: Srinagar: A local takes his boat through an area covered by snow on a cold, winter morning, in the interiors of Dal Lake in Srinagar, Monday, Jan. 7, 2019.